Forget medical applications and guns: when 3D printing is this beautiful, I don't care if the result is only good for sweetening my coffee. 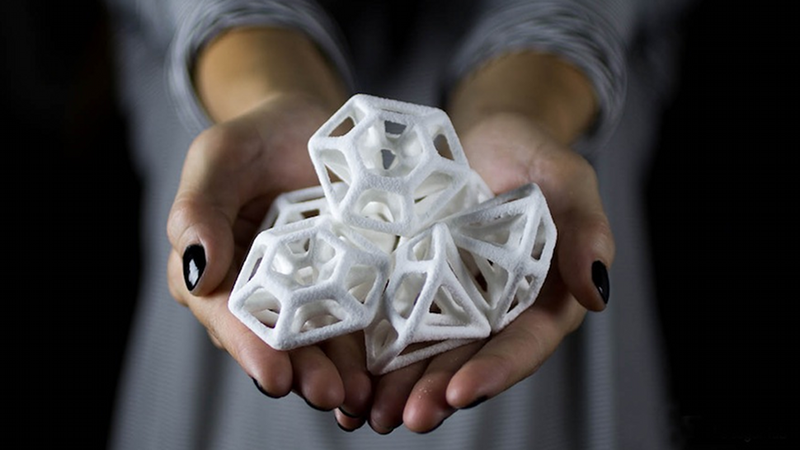 Liz and Kyle von Hasseln, from The Sugar Lab, have taken 3D printing to a new level. With a background in architecture, the pair have developed 3D printing processes which allow them to design, digitally model and print weird and wacky sugar sculptures. Brace yourself for a beautiful new world of confectionary.